DVD MovieFactory 3 is the latest version of Ulead's video software to produce Video CDs, DVDs and SVCDs. As with most other CD/DVD authoring software like Nero and Roxio, Ulead has put a front page with the tasks that you want do, and then loads the appropriate component for the job. Version 2 just started the program, and was quicker to load. The five options are Create Video Disc, Create Slideshow Disc, Copy Disc, Edit Disc and Direct To Disc. Once you have selected the kind of disc that you want, you get a progress bar as the software loads in the background. You then follow a wizard-based interface for the task in hand. The first page is where you import the video. You can capture from a capture card or Fire wire connection, import video from your hard drive, add a slideshow of pictures or import DVD Video from another DVD disc. You cannot import VOB files (which is the format that video files are saved in on a DVD). Clips can be trimmed, and enhanced to correct colour defects, and you can also add titles. The first clip you import can be used as a title clip, that always plays before the menu appears, but this part of the standard for VCDs, although it works just as well on DVDs. If a video file is trimmed or indeed not in the correct format, it will be re-rendered before being written to the disc. You can set the program to not re-code non standard MPEG files, but there is little sense in doing this. If you import from another DVD, the clips will be divided into the chapters set on the disc. With some set top DVD recorders, chapters are added every six minutes or so, and this means your import video will be in separate files. Clips can be joined together as I discovered, but you cannot trim them, so you must trim the individual clips before joining them. Unfortunately the files I joined together using this method were not seamless, so you should be wary of this option. On each of the pages there is an indication as to how much space you have left (which changes from 700MB for VCDs on a standard CD-RW or CD-R to 4.37GB on a DVD). This is helpful as background music, additional menus and motion menus can all take up more disc space. A motion menu with background music showing six thumbnails took 80MB of space. The second page is where you create the menu for your disc. There are 75 menu templates, ranging in styles from Sports, Corporate, Celebration and many others. The different elements in a template (the background, the layout of thumbnails, the frames styles and the navigation buttons) are set according to the template, but you can change any of them by using the Customize button. Here you can change to any of the 56 layouts, 31 buttons or 47 frame styles. There is no option to design your own template, or even move the thumbnails to a particular location on the screen, but you can use your own pictures for the background and save a customized template. You can only create motion menus on DVDs, where the thumbnails play part of the video file (and you can specify how long it plays for), which is odd, as I have created motion menus for VCDs before, using other software. As they can take a large amount of disc space it was obviously decided to remove this option on VCD and SVCD discs, where you have a total of 700MB to play with, but it would have been nice to have the option. If you have long video clips, you can add chapters by marking points in the video file. This is a simple process, and there is an auto add chapter function as well, although there is no real control on how many chapters the software will decide to add or how it detects the scenes. Once the automated process is complete you can change or delete the chapters manually. I noticed that unless you decide to display a chapter menu, the chapters are not added to the disc when you view the disc menu using the preview option. In version 2 you could add chapters and not have menus for them, so you could divide a half hour program into two and not have a separate menu to access each part. This meant you could skip part of the video without using fast forward, and I was disappointed that this feature had been removed. 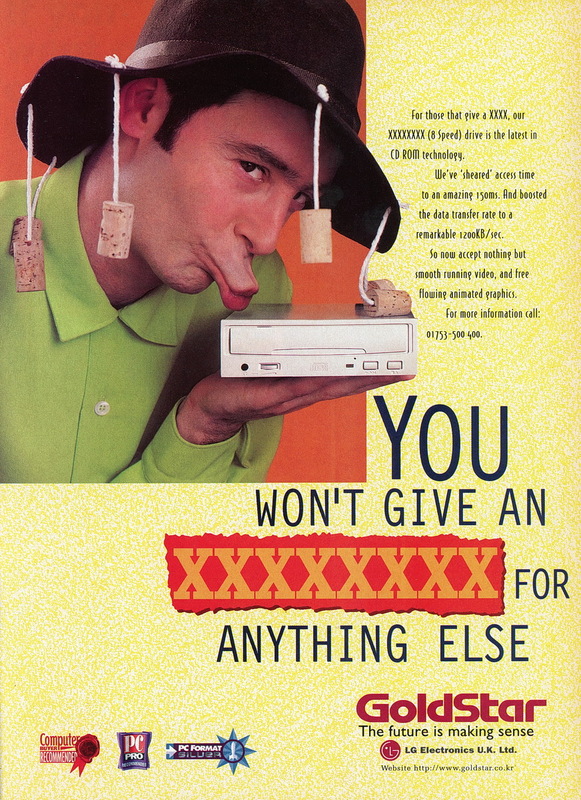 The third page is a preview of your disc, with a software emulation of a DVD or VCD player, depending on the disc. On the final page you can burn the disc, or create an ISO image to burn to a disc later. You can also create DVD folders on your hard disc, which will have the final VOB and IFO files, so you can play the disc from your PC hard disc, or use other software to burn these files to a DVD. These options only appear when you burn a DVD-Video disc. When you decide to start the process, all the video files are converted, the menus created, and the data prepared for writing. This can take a long time if you have used video files that are not in the right format for the disc. If you are using a re-writable disc, you can erase it before burning. If you change any element on the disc the project will be saved before the burning process begins. Creating a slideshow disc is an easy way to have your photos displayed and the interface is very easy to understand. You can give the slideshow a title, add titles to any of the pictures you select, and choose from 41 photo transitions. The duration for the image on screen applies to all pictures (so you can't have one picture stay on screen longer than any other), and the background music can be imported from a CD audio file (cda), MPEG Audio file (mpa, mp3, ac3), Microsoft wav file (wav) or Windows Media Audio (wma). You can match the slideshow to the length of the music. Note that if you save a slideshow project you cannot import that slideshow into a video disc project. The rest of the process is the same as the video disc. DVD-VR - Create a rewritable (RW), re-editable disc in -VR format, with a simple play list interface. This is best for compatibility with DVD-RW set-top recorders. DVD+VR - Create a rewritable (RW), re-editable disc in +VR format, with full menus. 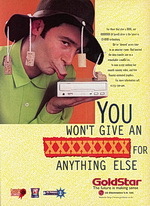 This is compatible with DVD+RW set-top recorders, but Ulead also recommends it for discs will be continually modified. DVD-Video Fast Re-Editable - Create a rewritable (RW), re-editable disc in DVD-Video format. The disc includes the MovieFactory project file to provide re-editing information, and the content is organized (within the DVD-Video specification) to facilitate re-editing on disc. This is best for appending new content, but not lots of editing, since it is slower than +VR to update but is more compatible than +VR, especially with older players. DVD-Video - Create a recordable write-once (R) disc in DVD-Video format. The DVD can include the MovieFactory project file, but the disc's contents will need to be copied to hard disk to edit and then burn to a new disc. The copy disc option is a standard process that is added to convenience, but it can create images from discs for later burning. I only recently bought a DVD writer and originally used the program to burn VCDs, which it was fine with. The terminology of DVD writers and the different formats can be confusing, and the help file does not give much guidance. Most of the interface is easy to understand, but the help for some of the options have nothing more that a list of what's available, instead of a detailed explanation of what the options mean. There were a few tweaks between this and the previous version, and the long loading time once you have selected a project type can be off putting. There seems to be an emphasis on DVD with this software, as you would expect from the title, but the woman in the picture for the software is holding a CD-R, not a DVD! 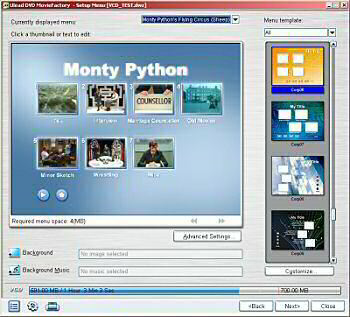 Version 2 emphasised video capture, as the image used was a man was holding a video camera, but this program is more about organising your video and photos. Despite the odd restrictions on some of the options available, DVD MovieFactory 3 is easy to use, and more importantly, produces stylish menus for your video to playback on your DVD player or PC. Alternatives are Nero Vision Express, Roxio Creator 7, Cyberlink Power Producer.